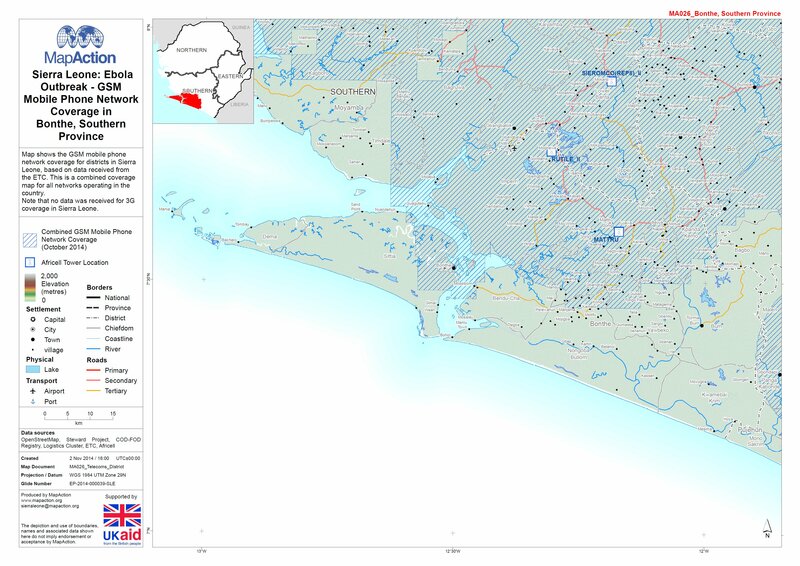 Map shows the GSM mobile phone network coverage for districts in Sierra Leone, based on data received from the ETC. This is a combined coverage map for all networks operating in the country. Note that no data was received for 3G coverage in Sierra Leone.